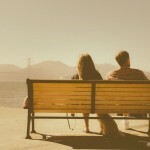 It reminded me of how easily we make and break commitments in our modern culture. We all know the epidemic of broken promises involving marriage, but even in simple things we like to keep our options open. How many times do we agree to do something or go somewhere knowing full well it is till “a better option” presents itself? In the missions organization where I work, I frequently see young people make 2 year commitments until a better option comes. Then, conveniently, they get a new “word from the Lord” or God tell them to break the commitment. You’ve Been Wrecked, Now Commit! I’ve spent the last 21 years working in a primarily short-term missions organization, Youth With a Mission (YWAM). I’ve seen countless lives wrecked for the ordinary as they served others through missions. This is the premise of Jeff Goins’ recent book. 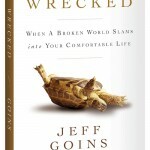 Why does a “wrecked” experience so often lead to a future inability to commit? This is a chapter everyone in my organization needs to read.